I am sometimes baffled when people talk about how hard it is having young children. Surely, this is the easy part, no? 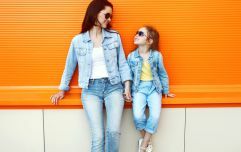 As in, I'll take the sleepless nights and the sticky floors in a heartbeat over having to worry about things like cyber-bullying or who they are out with or up to when I not there – which I have heard are all part and parcel of having older kids. My little girl only just turned seven – and is still incredibly child-like in what she talks about and wants to play with – something I am obviously hoping will last as long as possible. But tween-hood is drawing in, and I am planning on being all sorts of prepared when it gets here. At seven, my little girl still loves nothing more than to chat to me about everything and anything that has happened to her that day. She will literally follow me around the house, chatting away as I pile laundry into the washing machine or apply mascara in the morning, no little detail forgotten or unmentioned. I can't even begin to explain how much I love this, and how I will strive my very hardest for her to feel she can always be this open with me about everything. In fairness, I am like this with my own mum – still to this day. In fact, when we were teenagers and started our going to the local disco days, my 18-months-younger sister and I would frequently pile onto our parent's bed and wake our mum up to tell her all about the night's going on's – who kissed who, who danced with who and who had a fight because somebody ran off with someone else's boyfriend (you know, the usual stuff 15-16-year-olds are concerned with). To keep the bond between myself and my little girl this strong, I will keep listening to all her stories, even when I have a million other things I should be doing at that moment because I so desperately want her to know I am always here, and will always care about what she has to say, no matter how big or small. The statistics when it comes to bullying, both when it comes to children who bully and get bullied, are staggering and scary. I think there are probably no fool-proof or proven way to 100 percent bullyproof your child, but I am already doing my best in showing my daughter (and three-year-old son) that bullying is not accepted, not tolerated and not at all the way to go about winning people's respect. And I don't just talk about bullying to my seven-year-old, I also try to model compassionate, respectful relationships in our day-to-day lives, knowing that children are like sponges, and what they see is what becomes their normal, their point of reference. This goes for how I treat the kids, of course, as in trying to be fair and respectful and compassionate with them, but also how they see me be with other people, be it family, friends or the waitress at the restaurant we are eating in. Also important, I think, is to take a step back and think about how the children see you speak about other people when they are not there. Whether it is your sister or your mother-in-law or that co-worker you literally drives you demented every day – if your children hear you gossip about or speak in negative terms about someone who is not there, how are they to know they can't do this with someone from their class or ballet group? It is also so, so important to teach your children how not to be a push-over and to stand up for themselves, I think. As in; if you tend to back down easily so you don't make a scene, but then later feel pushed around, think about how your children see that. They learn from watching you, and so to show them how to be assertive while still maintaining respect for the other person, it is a lesson you do not want them to skip. But ever since going through toddler-life for the first time with my little girl, I have tried to embrace the idea of peaceful parenting, a concept which revolves around co-operating and reasoning with your child over the idea of punishment when they are not behaving the way you want them to or have done something they weren't meant to do. The idea being that threats and punishment can undermine the trust your child has in you, and can in the long run harm your relationship. Instead, I try to always reassure them, whether it is my two-year-old or almost-tween, and instead of yelling and being angry, talk them through what happened and why I am upset. What I am hoping, is that (and I am by no means perfect and have certainly done my fair share of yelling too) is that this will make it easier for them to turn to me when they are older, if they have done something wrong or made a mistake, and instead of being afraid I will be angry with them, instead will trust that I will listen and help. Want to hear more on this subject? Come to our FREE event next Tuesday. Do you have tween problems or concerns? We are holding a FREE expert parenting workshop in Dundrum Town Centre next Tuesday 21st February at Movies@Dundrum in the Town Centre at 9.30am. 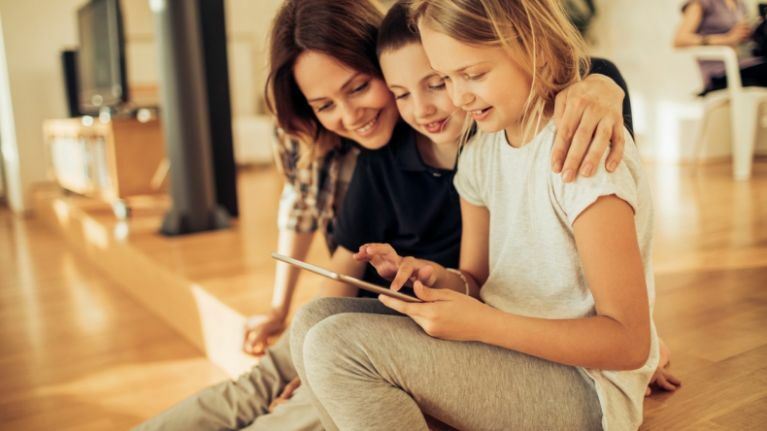 Pop in and hear our Child Psychologist, David Carey and HerFamily writer and Health Psychologist, Alison Bough explain all things tween and learn how to cope with this new challenge.